Bryan Shaw and Steve Graham presenting their project at the EMA Awards Gala. 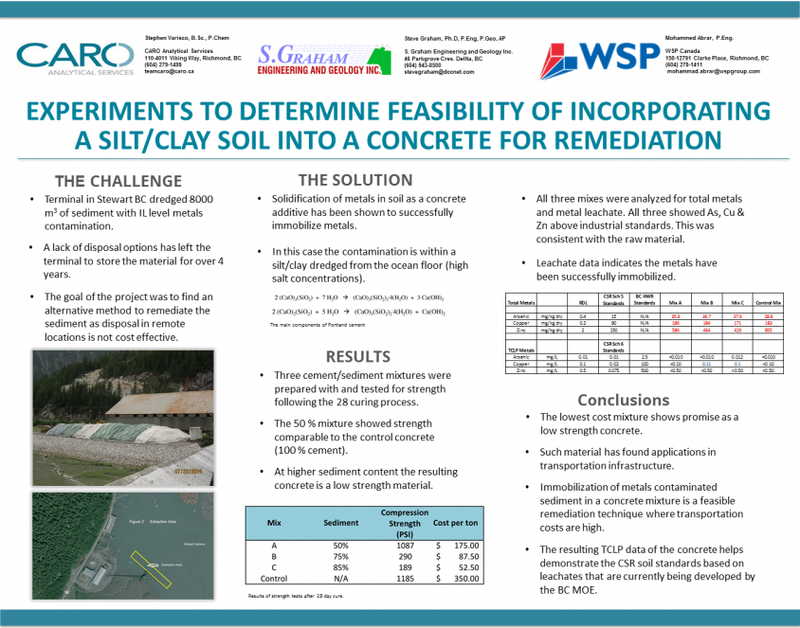 It is with great pleasure that we present to you our winning project, “EXPERIMENTS TO DETERMINE FEASIBILITY OF INCORPORATING A SILT/CLAY SOIL INTO A CONCRETE FOR REMEDIATION” from the 2017 EMA of BC Environmental Management Awards, held on June 15, 2017 in Vancouver, British Columbia. We were thrilled to bring home the golden man for the award category, “Technical Innovation”, our fourth award over the last 5 years. This remediation partnership project speaks volumes to CARO’s investment in innovation, technical leadership, and collaboration. Project Goal: Find an alternative method to remediate sediment, as disposal in remote locations is not cost effective. Three cement/sediment mixtures were prepared with and tested for strength following the 28 curing process. The 50 % mixture showed strength comparable to the control concrete (100 % cement). At higher sediment content the resulting concrete is a low strength material. All three mixes were analyzed for total metals and metal leachate. All three showed As, Cu & Zn above industrial standards. This was consistent with the raw material. Leachate data indicates the metals have been successfully immobilized. The lowest cost mixture shows promise as a low strength concrete. Immobilization of metals contaminated sediment in a concrete mixture is a feasible remediation technique where transportation costs are high. 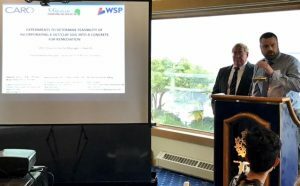 The resulting TCLP data of the concrete helps demonstrate the CSR soil standards based on leachates that are currently being developed by the BC MOE. 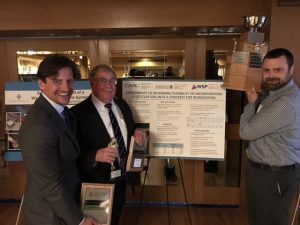 CARO has been a proud supporter of the EMA of BC for many years, and we thank them for the opportunity to be involved in this competition. We encourage everyone with an interest in becoming a champion to contact us online or directly through any one of CARO’s awesome team members. Click here for more information on our soil and sediment analysis, and stay tuned for more exciting news from the laboratory that cares!